The Toyosu wholesale market opened its doors for the first time earlier this month after relocating from Tsukiji, where it was famed for being one of the largest seafood and fish markets in the world and for catering to the finest restaurants in Tokyo. The road to relocation, however, was a bumpy ride at best, and followed years of delay, concerns over safety issues and opposition against the relocation itself. Although the move has been completed and the Toyosu market is now up and running, some questions regarding the relocation linger. What was the Tsukiji market? The Tsukiji wholesale market dealt in both fresh produce and seafood, but most people probably recognized it for being one of the largest fish markets in the world. The market was one of 11 making up the Metropolitan Central Wholesale Market under the supervision of the Tokyo Metropolitan Government. 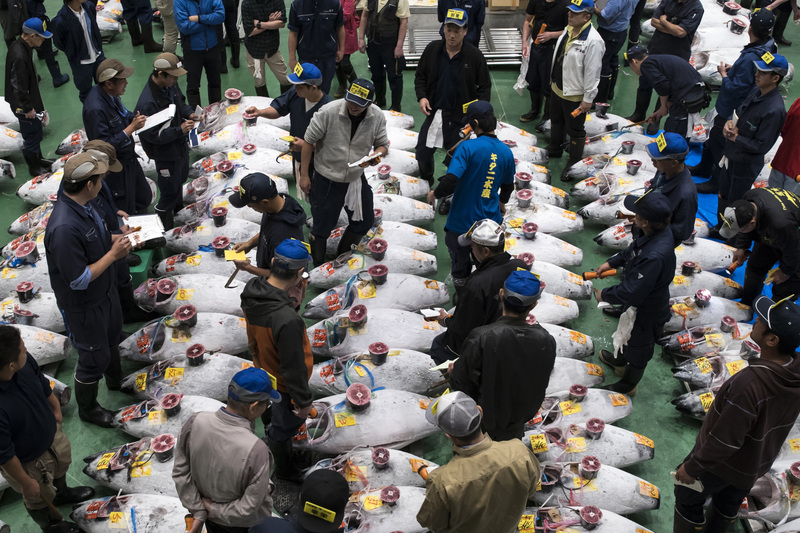 Business for some 1,541 tons of fish and seafood worth a hefty ¥1.6 billion was executed on an average day at the market in 2016. Earlier this month, the Tsukiji market closed down for good, and the hundreds of businesses that were based there all moved to the new site in Toyosu. The Tsukiji market has therefore been rebranded as the Toyosu market. Why did the market have to relocate? After decades of use, the Tsukiji market was becoming increasingly dilapidated, and its infrastructure had fallen victim to time and corrosion. Built in a time when produce was delivered by train, the market also lacked sufficient parking and handling space and was ill-equipped to accommodate delivery by truck. Construction to renovate the Tsukiji market started in the early 90s, before being scrapped a few years later due to mounting costs and the difficulty of conducting construction work while the market was in operation. The market and the metropolitan government eventually agreed to relocate the market to Toyosu in 2001. 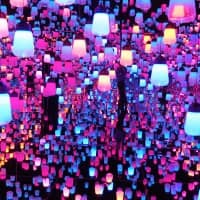 Is the new site safe? Given that the new Toyosu market is built on a site where a gas plant owned by Tokyo Gas Co. once stood, concerns over contamination and safety have continued to surface. Expert panels convened by the metropolitan government have maintained that Toyosu is safe for use because the underground contamination does not affect above-ground operations. The contaminated soil is covered by concrete, and the toxic groundwater will remain underground and not be used in the Toyosu facilities or by market workers, the panels said. 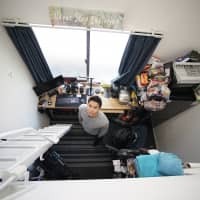 Toxins such as benzene and cyanogen in excess of Japan’s environmental standards — as high as 140 times — were found in 37 of 46 samples of groundwater flowing under the new facility as recently as May, according to a report published by the metropolitan government in July. That being said, the environmental standards for these chemicals are as stringent as the standards set for tap water, and they are designed to ensure safety in the event the water is consumed daily for over 70 years. 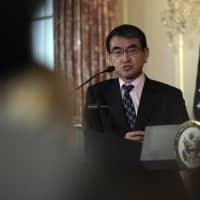 The expert panels therefore maintained that the Toyosu site is “scientifically” safe, but also recommended extra measures to provide “reassurance” to consumers. Why was the move to Toyosu delayed? In August 2016, Tokyo Gov. Yuriko Koike delayed the market’s move to Toyosu, which was scheduled for November that year, citing contamination and cost concerns. 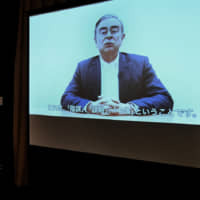 A few weeks after the delay, Koike announced that contamination countermeasures that had been recommended years earlier by an expert panel had not been implemented. The measure consisted of adding a thick layer of clean soil on top of the contaminated area, where a layer of concrete lay in its place instead. Although having a layer of concrete in place of clean soil does not pose a problem legally, an expert panel convened by Koike recommended additional measures to address the contamination issues, such as adding a more robust groundwater management system. The construction of the extra measures was completed in July this year, and Koike declared the Toyosu market safe for use later that month. Is everyone happy with the new market? There have been mixed reactions from workers regarding the new site. Some have been relatively pleased with the new facilities, while others have voiced concern over the contamination issues and certain inconveniences. 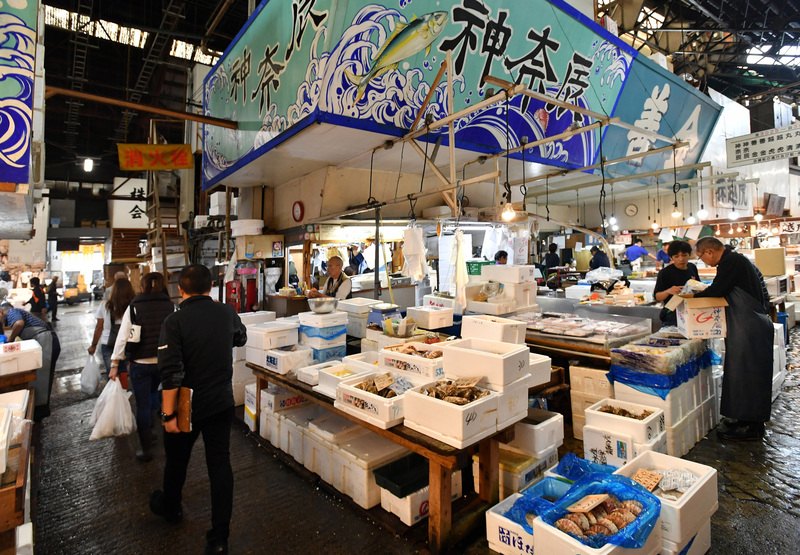 Some people, including fishmongers working at Toyosu, have claimed that the water drains clog easily and complained of congestion on the roads leading to the market. Workers are hoping that the congestion will be eased thanks to a planned nearby road connecting Tsukiji and Toyosu, slated to open on Nov. 4. 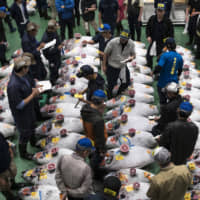 Media reports have also claimed that the lighting in the tuna auction rooms has made it more difficult for bidders to discern the best catches of the day, although the flooring of the auction room was made a deep green so that the hue of the fish would stand out. On the upside, the new marketplace sprawls over 40 hectares, significantly more than the 23 hectares Tsukiji covered. Unlike Tsukiji, Toyosu has an enclosed structure, allowing for better control over internal temperatures to maintain the freshness of the products, as well as a new sanitization system and packaging facility. Can tourists visit the new market? Yes, the Toyosu market is open to visitors from 5 a.m. on days that the market is open. The market houses numerous restaurants — some of which relocated from Tsukiji themselves — and specialty shops that sell everything from knives to rubber boots. However, unlike at Tsukiji, where visitors could freely enter the marketplace, Toyosu is built so that the paths of visitors and market workers do not cross. People who want to see the marketplace up close will have to make do with watching the comings and goings of the workers from windows with narrow views of the market alleyways. 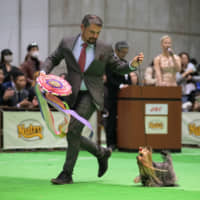 The famous tuna auctions will also open to the public on Jan. 15 next year, but visitors must watch the action from behind a glass-paneled, elevated deck that overlooks the auction room. What will happen to the Tsukiji site? Facilities at the Tsukiji site will be torn down to make way for a temporary parking area for the 2020 Tokyo Olympics. What will happen to the site after the Olympics remains undecided. 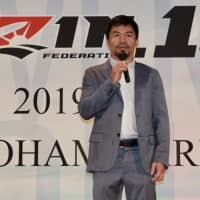 In the past, Koike mentioned the idea of making a gourmet “theme park” at Tsukiji, but the idea drew criticism given that Toyosu serves a similar purpose. That being said, the restaurants and shops located on the periphery of what used to be Tsukiji are still open for business. Although the market itself has relocated, taking some famed institutions such as the first Yoshinoya restaurant with it, there are still plenty of restaurants remaining in the Tsukiji area. What’s next for the Toyosu market? For now, Toyosu is still finding its feet after opening earlier this month. However, there are still wider issues faced by the market, not just in terms of the facilities, but rather in terms of the fishery industry as a whole. 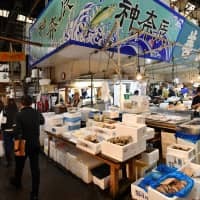 Seafood consumption in Japan has been on the decline since its peak in 2001, with the annual consumption rate per person dropping from 40.2 kg in 2001 to 24.6 kg in fiscal 2016, according to a report by the Ministry of Agriculture, Forestry and Fisheries. Fish wholesale markets have also been hit by changes in the distribution system. Customers, such as supermarkets and restaurants, can now purchase produce directly from the fisheries, meaning they do not necessarily need to go to wholesalers at the market. Some 637,000 tons of seafood were handled at Tsukiji in 2002. That figure had dropped by a third to 410,000 tons in 2016. 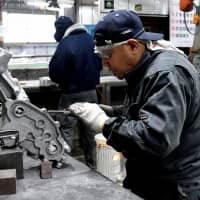 The changes in the industry are believed to be one of the factors contributing to the decreasing number of intermediate wholesalers at the Toyosu market. Whereas 796 intermediate wholesale businesses were open at Tsukiji in 2007, that number is now below 500. It remains to be seen whether Toyosu can live up to the Tsukiji brand — which the market had worked so hard to achieve — as well as adapt to the changing times.